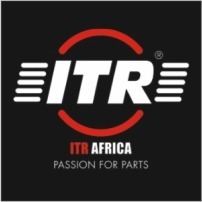 ITR Africa is a leading distributor of Undercarriage, Ground-Engaging-Tools (“GET”), Engine Repair Parts and components for earth moving equipment and applications in Sub-Saharan Africa. ITR is stocks the widest range of components for earth-moving machines: repair parts, undercarriages, ground engaging tools, mini excavators and rubber tracks, hydraulic hammers, buckets and loading ramps. All of these components can soon be ordered online. The pillar of the USCO product range, ITR engine repair parts represent the kingpin around which the Modenese company has grown and developed since the 1990’s. A vast range of components including chains, shoes, rollers, sprockets, idlers and segments entirely manufactured at the Asian plants of the Group. This line comprises all those components necessary for the manufacture, reconditioning and maintenance of excavators and loaders. As well as rubber tracks, ITR offers the complete range of components for mini-excavator models including sprockets, idlers, rollers and chains. Track One is a customer focused, track frame assembly manufacturing company, with a product range from 1.5 tons to 45 ton. Tags: Engine Repair Parts, The pillar of the USCO product range, ITR engine repair parts represent the kingpin around which the Modenese company has grown and developed since the 1990’s, Undercarriage Components, A vast range of components including chains, shoes, rollers, sprockets, idlers and segments entirely manufactured at the Asian plants of the Group, Ground Engaging Tools, This line comprises all those components necessary for the manufacture, reconditioning and maintenance of excavators and loaders, Mini Excavators & Rubber Tracks, As well as rubber tracks, ITR offers the complete range of components for mini-excavator models including sprockets, idlers, rollers and chains, Crawler System, Remove and refit shoes, Turn pins and bushes, Re-strip shoes, Rebuild idlers, Fit new pins and bushes.